Want this item tomorrow, Wednesday 24th April? Order within the next 14 hrs 30 mins and choose Next Day Delivery during checkout. 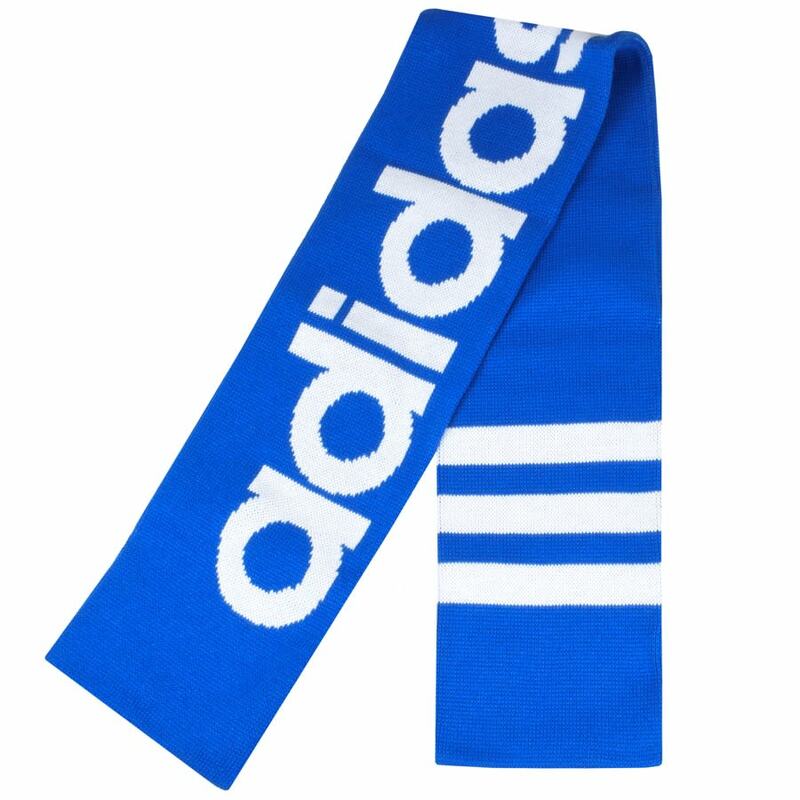 Adidas Originals Logo Scarf In Blue Bird, A chunky knitted scarf in blue featuring a large Adidas Trefoil logo in white. The Adidas Three Stripe features on both sides in white. This scarf measures approximately 66 inches in length and 10 inches wide. 100% Acrylic. More Fashionable Styles of Adidas Originals Beanies, Hats and Scarves Live Online.